This discussion was created from comments split from: Inline key-words and key-phrases. Never heard of "interstitial journaling". Mind sharing some resources, y'all? This is off topic but this is the only online article I've read introducing me to the idea of interstitial journaling. I took the ideas expressed and ran with them modifying them to fit my notions of an interwoven workflow much like I think I'm developing with note-taking. I see the value in both journaling and note taking being a natural and flexible byproduct of how I conduct my day and my reading. Nothing special, the less flow is interrupted the better. @ctietze I have only 20 tags, I wonder how many you and @sfast have? Do you guy intermingle them in the text or place them in a header or footer, or do you do some of both? Luhmann had thousands of entries in his keyword list. If tags are treated as keywords then there could be thousands of 'categories' a note might be matched with. The cognitive overhead might overwhelm. You mean like putting keywords in a YAML block ? No this is not my thoughts. I'm thinking interstitial markup. Not separated from the note body. Oh, I see. My misunderstanding. And, that article @will linked is the only one I've read as well. TLDR; it's like just the journaling part of Bullet Journal, wherein you freely mix todo items and events, but not specific to paper, and with an emphasis on recording an entry when you change tasks, in order to shift the mental focus to the new task. @mediapathic what does you tpl-journalentry.txt look like? My templates are very ... minimalistic. So I get the Title input with helm, which... is not actually that useful, but occasionally nice for repeating entries. I have Way Too Many capture templates. It was one of the first things I figured out how to customize in emacs and I kind of went overboard. the review templates are something I picked up from the PARA guy, I don't actually use them but I keep them in there as examples if I want to build something similar. 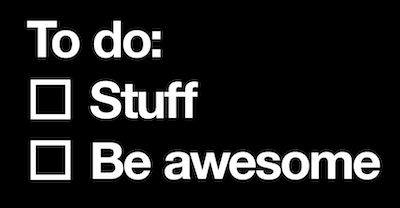 "Todo with link" is for when I want a todo that links back to where I made it, like an email. You might like the helm-books thing, which actually searches Amazon and pulls author info.